It is easy to see why the Dominican Republic is the most visited island in the Caribbean. It has hundreds of miles of coastline, an unspoilt charm and vivacity (this is the island that invented the Merengue, after all) and a diverse geography (everything from rocky mountains to desert and jungle). And the capital, Santo Domingo, is the oldest continuously populated city in the Americas. 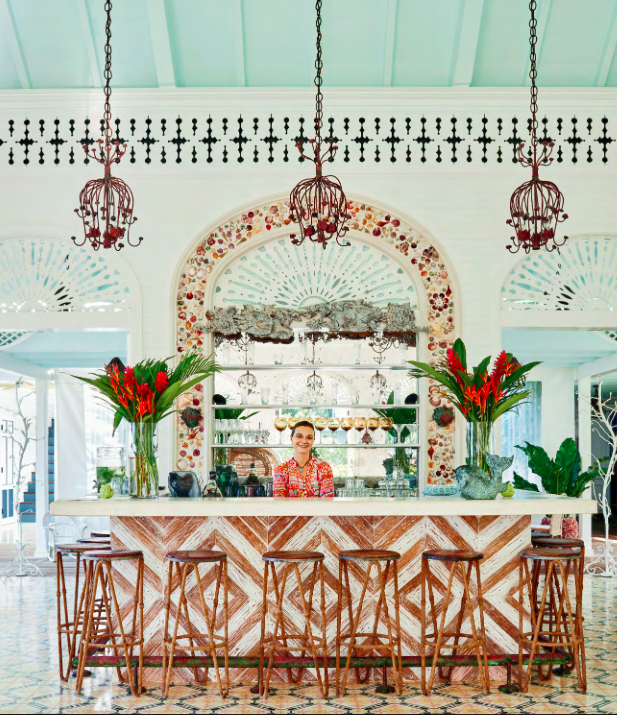 Travellers tend to flock to Punta Cana and La Romana along the eastern and southern coasts, but the northern coast from Samana to Puerto Plata is stippled with many favourite local beaches. So when news broke in 2004 that American financier Boykin Curry, his decorator wife Celerie Kemble and a group of investor friends had bought 2,000 acres of land on the north coast, which included the pristine mile-long Playa Grande beach, locals were awash with dread that this small slice of paradise would be ruined by mass development. Contrary to the rumors, Boykin and Celerie had no such intentions. Though keen to build, they were determined to preserve the natural beauty of the environment and to ensure continued public access to the beach. Groundwork began in 2011 on a private retreat for themselves and their friends, which initially included two communal clubhouse buildings and nine stand alone residences varying in size from one to three bedrooms. Having travelled the world together they were fed up with geographically nondescript international hotels and decided, therefore, to create a boutique hotel out of their slice of heaven as the antithesis to this. ‘Small scale and true to its context,’ is how Celerie describes the Playa Grande Beach Club. It has taken 12 years and an undisclosed fortune to look as though it has always been there. Playa Grande beach with its honey-coloured sand backed by lush jungle and washed by azure waves remains more or less unchanged. Near the public entrance to the beach, Celerie has created a marketplace of little wooden kiosks, where locals sell fresh lobster and tropical fruit juice, and where Dominican Republic surf champion Junior Gomez, who grew up practicing on this beach, offers two-hour surfing lessons for just US$45. 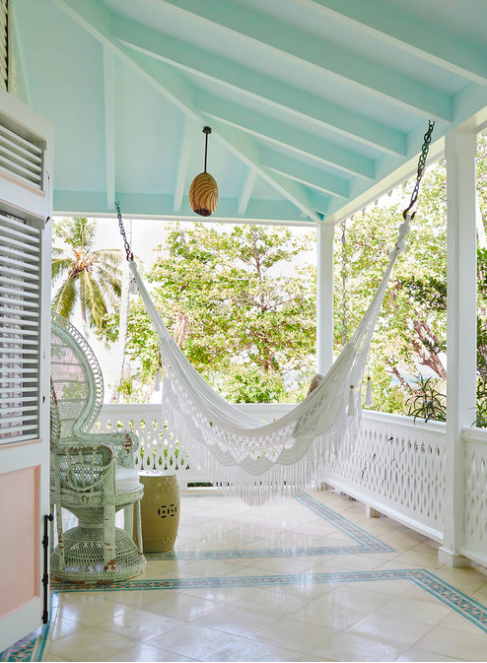 The Beach Club sits attractively among a shield of coconut palm, almond trees and sea grape, its white lattice woodwork a delirious riff on the Victorian gingerbread-style vernacular found on the island in Puerto Plata and Santiago. 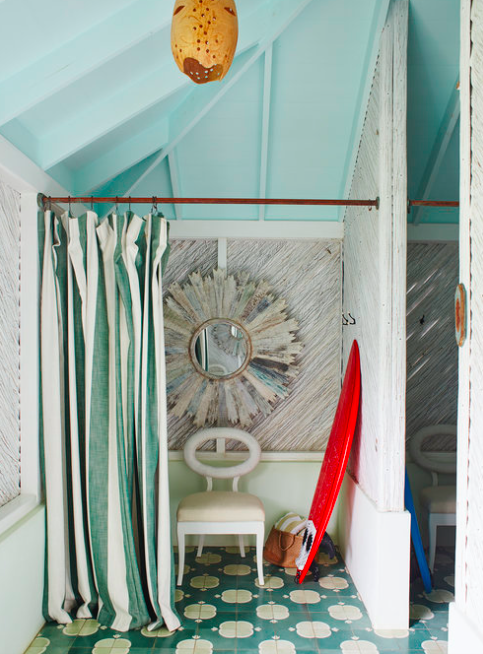 Celerie enlisted the help of fellow American Elric Endersby, who has a holiday home nearby, to source authentic Dominican architectural details, including corrugated zinc roofs and hand-hewn tabla de palma (royal palm wood) used to clad the exterior walls. At the heart of the hotel are two Clubhouse buildings. In the main one is a long, high-ceilinged Great Room, which doubles as a bar and restaurant. Three sides of this space have folding doors, which open onto a wrap-around veranda overlooking the pool, its decorative cabanas and the ocean. Inside, elaborate fretwork adorn the walls, while the floors are made of ornate hand-pigmented concrete tiles. Swinging tipsily overhead is an array of giant, spidery wrought-iron lights and scattered throughout are vintage wicker, shell and bamboo furniture, which creates a languorous easy-going atmosphere. The second Clubhouse building is a small, two-storey house with a semi-open-air library on the ground floor and an evening bar above. This treehouse-like hideout is the perfect place to watch the sky bleed to rose pink at sunset, while sipping a glass of Mama Juana (a local drink made by allowing rum, red wine and honey to soak in a bottle with tree bark and herbs). Fanning out to the left and right along stepping-stone paths in the lush garden planted liberally with orchids, ginger flowers and elephants ears are nine stand-alone houses – six one-bedroom bungalows and the rest three-bedroom houses. Many come with gazebos and porches, which can be totally closed off with louvred doors or thrown open to the elements. There is a seductive largesse and dreaminess to the furnishings: huge copper baths are big enough to put all the family in at once and in some bedrooms there are curling wrought-iron vine beds with tendrils that reach the ceiling, inspired by Celerie’s own childhood bed, made by her mother, the interior designer Mimi McMakin. Further developments are planned along Playa Grande beach and an additional four miles of coastline, but everything is intended to be as minimally invasive as possible. Already, with Celerie and Boykin’s blessing, the Aman Group has opened a low-slung property, Amanera, on a cliff overlooking Playa Grande beach. And Celerie is at work on five more villas located in the rainforest behind the main Clubhouse.